Despite the current trend for bright white, minimalist interiors, I have to admit, I’m really starting to hate my white walls. Before we moved into our house, we had all the walls freshly plastered and painted each room with two coats of white paint. 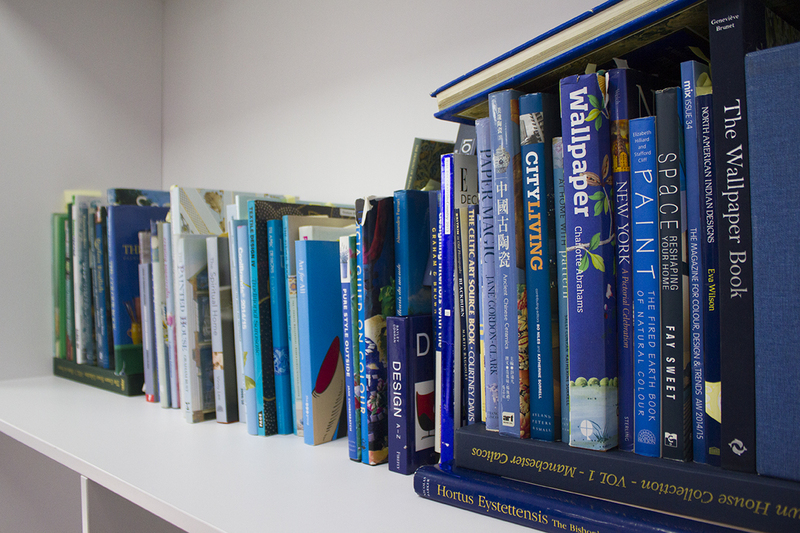 After that, I could hardly look at another paint brush, let alone start to choose colours for the walls. 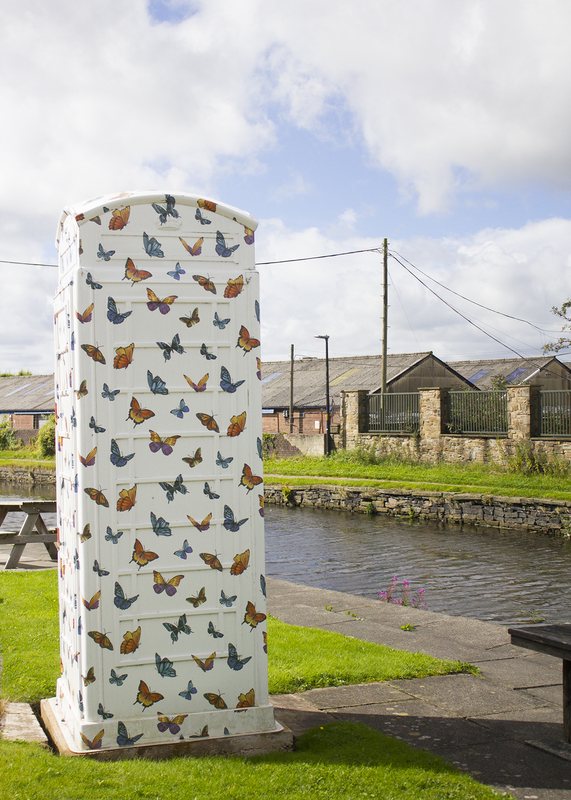 So when I was invited to Graham & Brown’s HQ in Blackburn last month, I was really intrigued to learn a little more about wallpaper. It’s always struck me as a time-consuming and less flexible way to decorate a room, but they assured me that this visit would change my mind on all things wallpaper! Being a Manchester blogger and having lived in & around Manchester for the past 6 years, I’ve built that into my identity and most people probably assume I’m from Manchester. But if you’ve met me, you’ll know I have a slightly more northern twang (don’t make me say ‘car park’, please). I was actually born in Blackburn, Lancashire and grew up in Darwen, which is right next door. 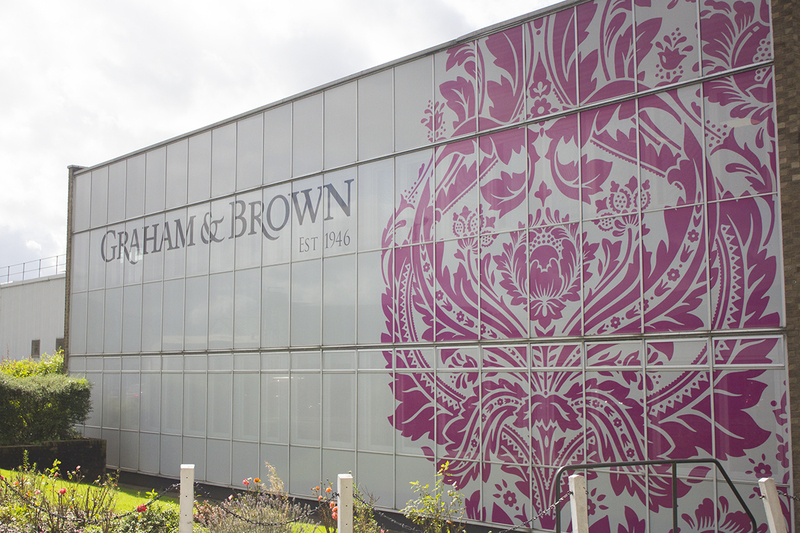 Knowing Graham & Brown was founded in Blackburn, but also operates and supplies globally, makes me hugely proud of my hometown. My mum even works there in the HR department (hi Mum! 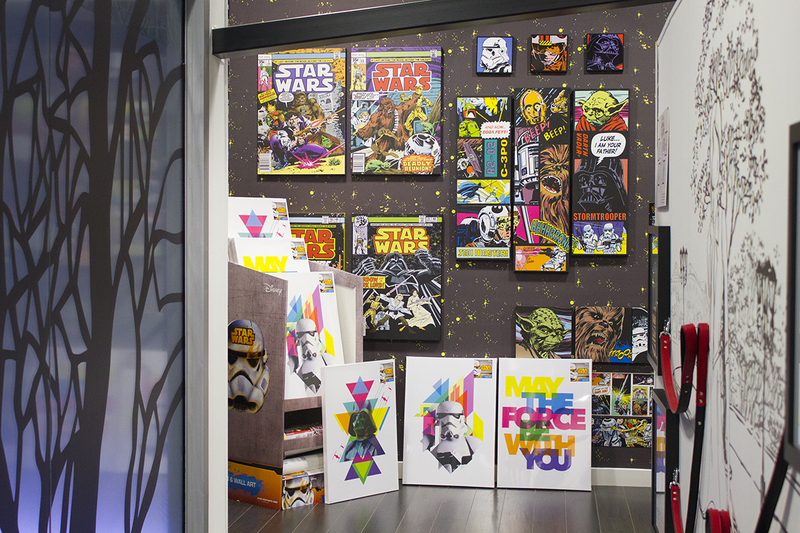 ), so I’d already been told lots of stories of how amazing their HQ is, well before I received my invitation to visit. I was thrilled to have a good excuse to make the trip over there, with my blogger pal Karen (check out her blog here) in tow. Even from the outside, you can tell there might be something special about Graham & Brown’s HQ. 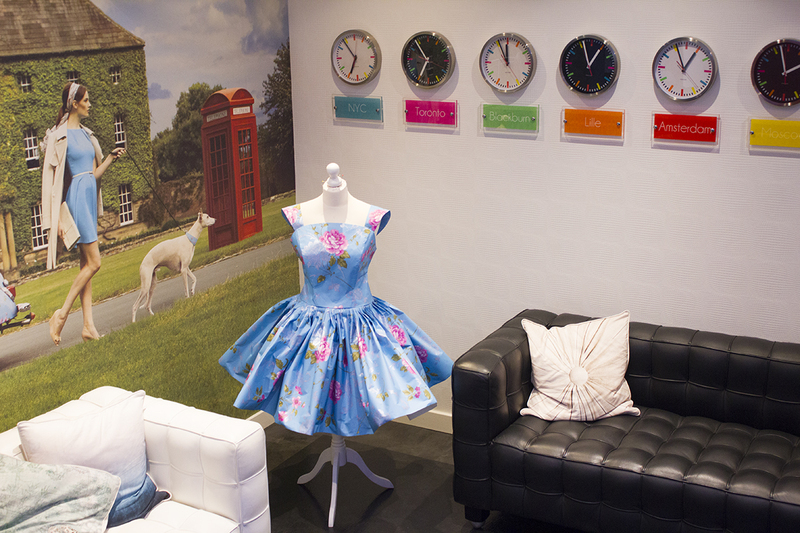 From the distinctive wallpaper print telephone box by the canal to the dress made from wallpaper in the reception, it’s a place that clearly lives and breathes creativity. 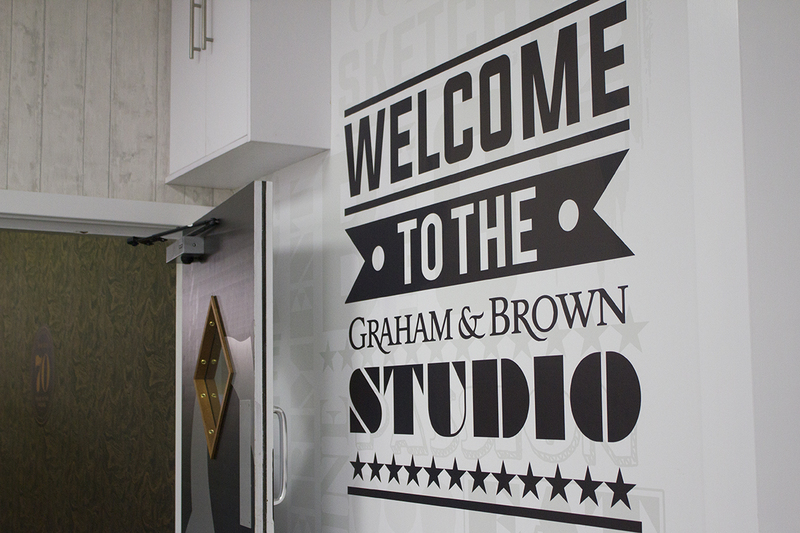 We started our tour in the Graham & Brown Design Studio. This was my favourite part of the tour, as we saw some very exciting work-in-progress from the design team. Their skillset was varied, with both traditional and digital artworkers and illustrators, and they were working on some truly stunning designs. Karen & I were a little gutted when we were told we couldn’t take any pics, but hopefully we’ll see those designs again soon in their finished form! After becoming more than a little jealous of the design studio staff and their inspiring workplace, we donned some burgundy factory vests and headed across the road to Graham & Brown’s factory. 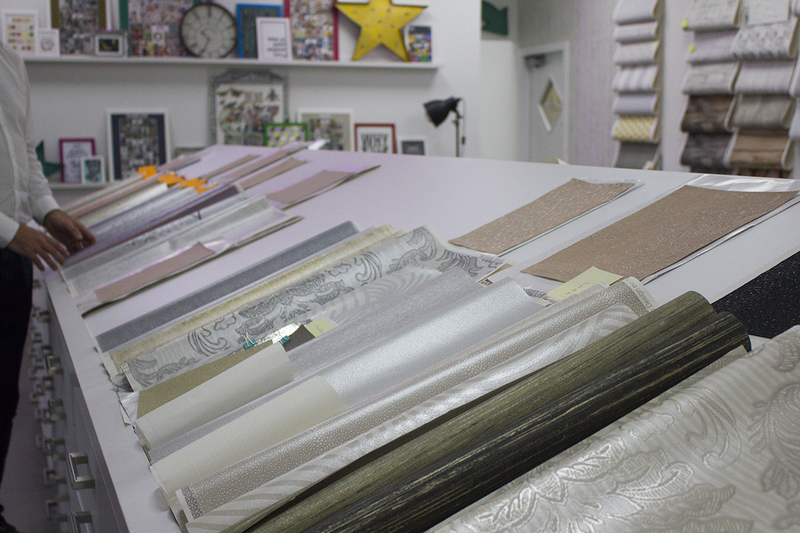 They manufacture all of their wallpaper here and ship it out all across the world to retailers and customers. The factory was way bigger than I thought it would be and pretty noisy too. 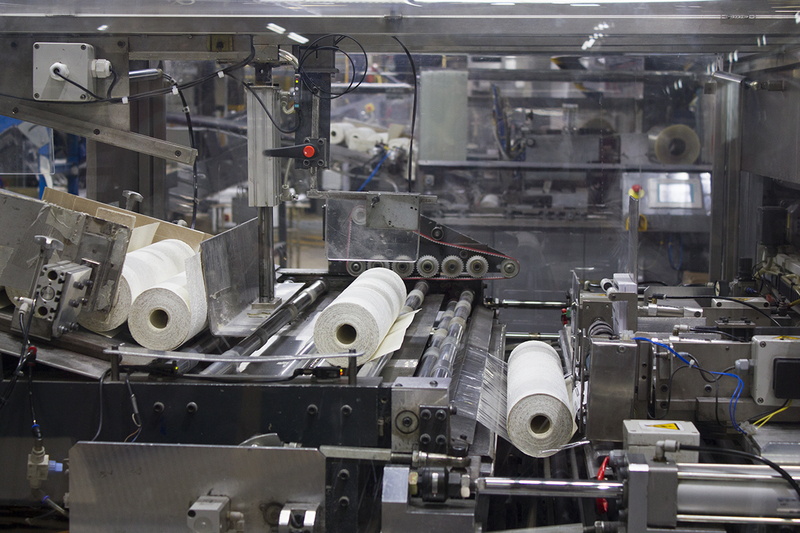 The number of stages the wallpaper goes through in production is crazy, but it really pays off when you get to see the finished result, being boxed up (by super smart robots, no less) and shipped to homes and shops across the world. 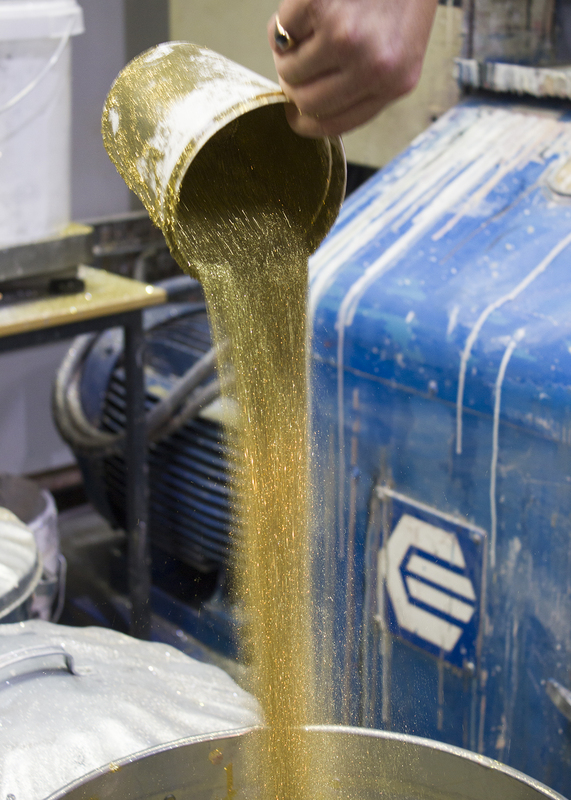 Oh and there was glitter all over the factory floors. Definitely the glitziest factory I’ve ever visited. Trends are at the heart of all of Graham & Brown’s wallpaper designs, so they’re the perfect place to find your next feature wall. 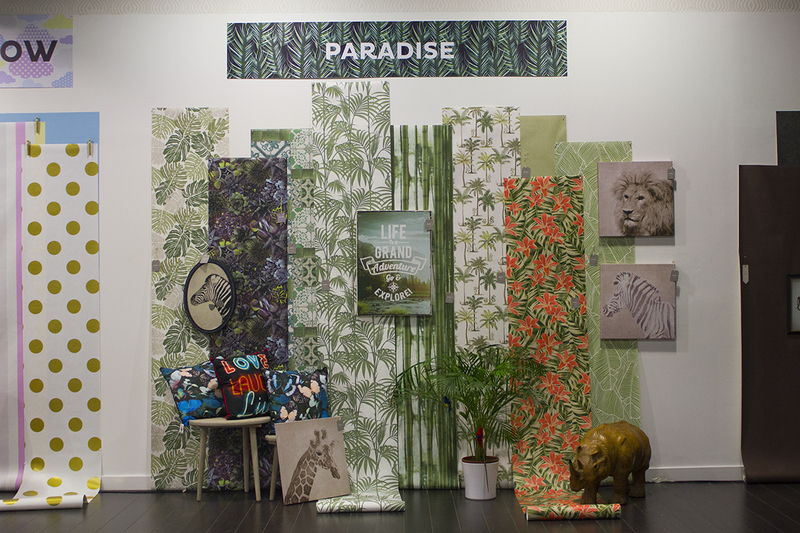 I’m obsessed with tropical and botanical prints at the moment and they had about ten different wallpapers that were shouting ‘waddup Sarah, get me on your living room wall’. 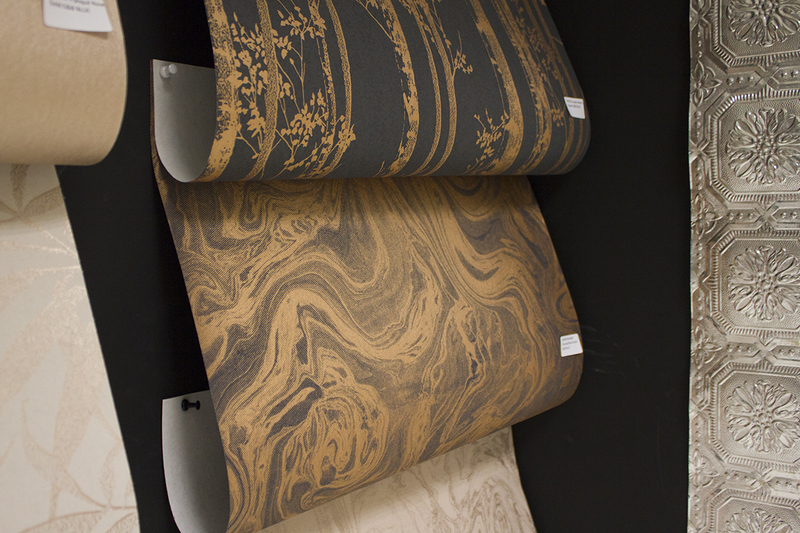 Another favourite was the charcoal & rose gold marbled wallpaper. How many trends can you tick in one wallpaper, seriously? It’s a stunning design with just the right level of drama. 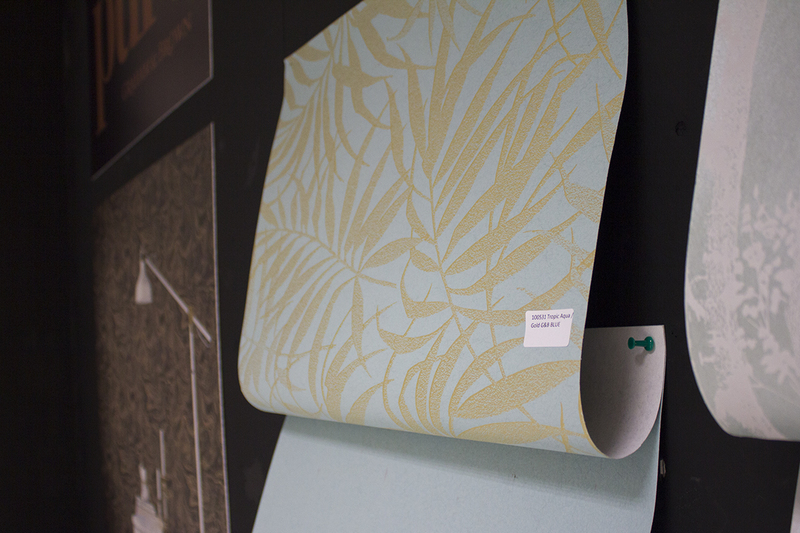 It’s loved so much by the team at Graham & Brown that it was also voted their wallpaper of the year! 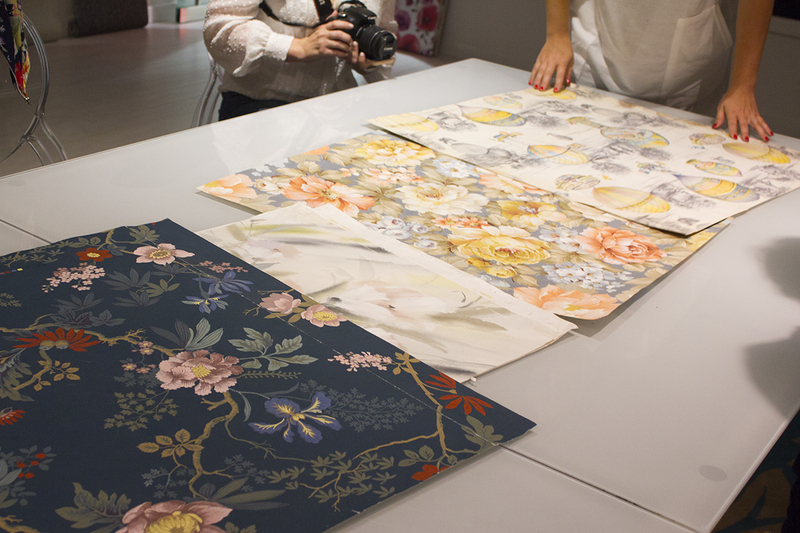 As well as perusing the latest designs and patterns, we also watched a demo of their Superfresco wallpaper. 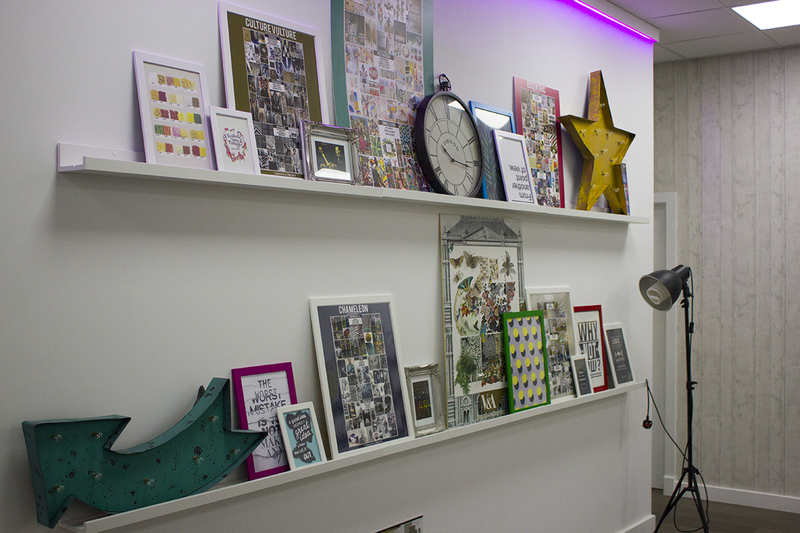 Designed to make putting up wallpaper easy for newbies like me, this particular range of wallpaper means you can paste straight onto the wall and avoid the mess of traditional wallpapering methods. It’s also ridiculously easy to take off, usually coming off in one whole strip, so it’s great for those who like to switch up their interiors more often. Particularly good for renters too! After I’d made a mental shopping list of 20 new wallpapers I needed to squeeze into my house somehow, we moved on to Graham & Brown’s range of home accessories. 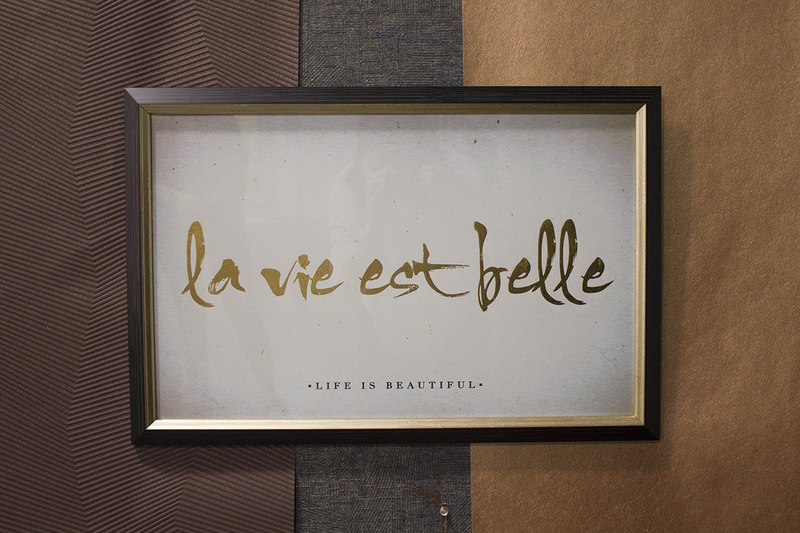 Not only do they have an extensive range of wallpaper, they’ve also branched out to provide matching paints and even more beautiful decor for your home. 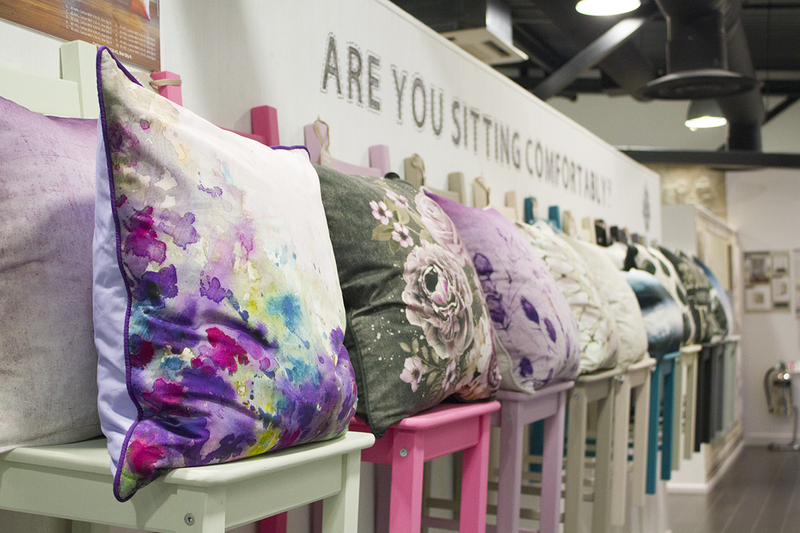 The cushions were my favourite, with some beautiful ombre and watercolour patterns that would be the perfect accent of colour in any living room! 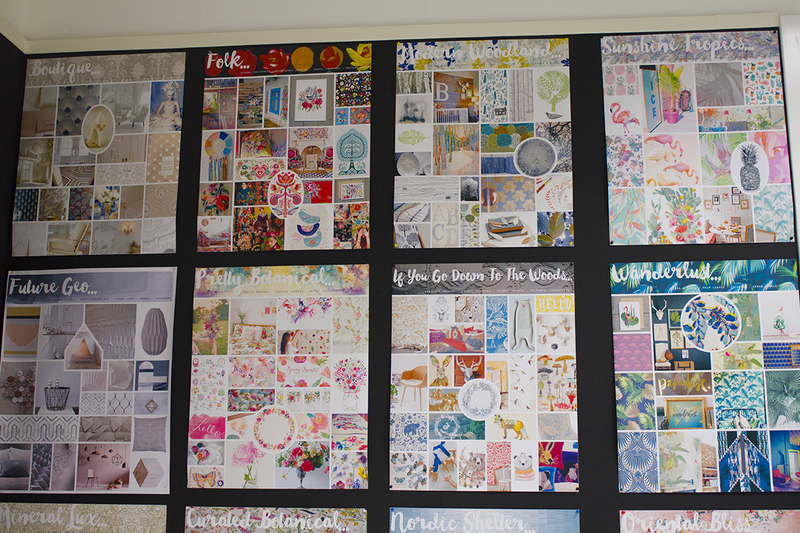 Take a look at all of Graham & Brown’s beautiful wallpaper designs for 2016/17 over on their website and have a peek at my house renovation on the blog here. Previous Post: « Learning to Ski… Again!